After several months of visiting all the Tram stops in and around Croydon, and drawing 3D maps of them all … our new app, Tram Master is out! 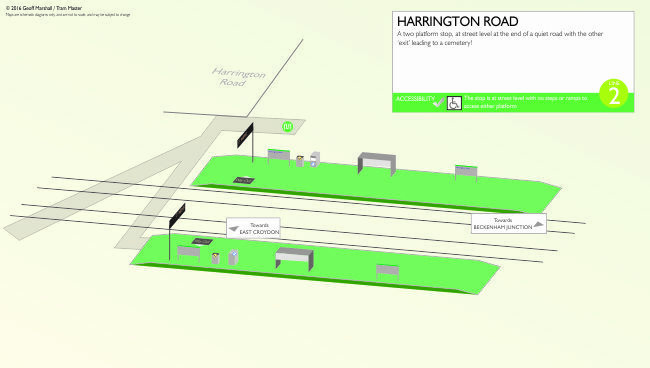 We’ve drawn 3D maps of all the tram stops on the network, so you can see at a glance the layout of the station, which end of the tram stop the exit is, along with where the steps, ramps and lifts are, showing you how accessible all 39 tram stops are. Download Tram Master on the App Store today! We’ve discounted it by 25% for a limited time only after the launch! We polished off the last of our 3D maps of the Tram system yesterday (Wimbledon, below) which means we’re now ready to submit them all as part of the Tram Master App to the App Store! 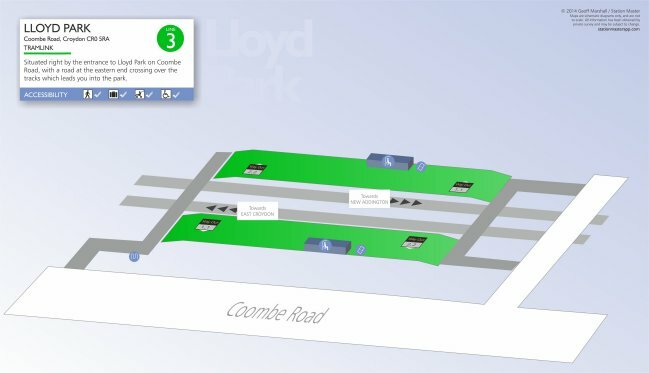 Tram Master shows the layout in 3D map style (as per Station Master) of all 39 stops on the Croydon tram network. 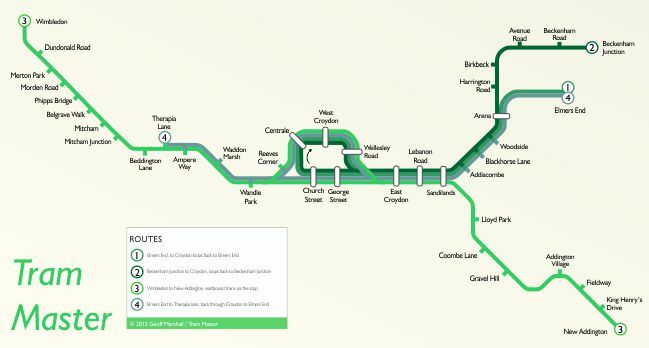 We have been travelling on the Croydon Trams a lot over the last couple of weeks, and we have been getting drawn all the 3D maps of the system. We’d therefore hope to have Tram Master released next month. The tram stops don’t have comprehensive facilities like tube stations too, so the App is a list of the 39 trams stops, and a 3D map that we’ve drawn for all of them, showing where the steps/ramp/access points are, and whether the exit is at the front or rear of the tram. So we’re plugging away quietly on creating TramMaster, an App with details of all the stops in Croydon, and as part of it we’ve created our own map of the Tram system which has the route numbers which it seems that not everyone is aware of! So we’ve put them in showing that there are indeed four distinct lines on the tram system! We hope to have TramMaster released soon in the new year, 2016. After three months of work, during which Trams had been terminating at Dundonald Road and not going Wimbledon, the station reopened yesterday on Monday (OK, actually it was open late on Sunday) for trams to stop there again, and there’s a brand new platform. The work that has been done is a ‘runaround’ the same as how Overground trains stop at Clapham Junction in that the second platform is now behind the first one at Wimbledon station, and they’re now called platforms 10a and 10b. This means that come the new year, there will be an extra four trams per hour running to the Wimbledon branch – twelve instead of the current eight which is a nice bonus to the capacity on this part of the line. To Tram, or not to Tram? Station Master found itself in Croydon at the weekend, taking a small ride on the Tramlink, and brought to mind the question again of whether it would be worth adding all the Tramlink data to the App. The initial though is ‘No’, because all stations are almost always identical! They’re all in the open, they’re all accessible, the exits are almost always at the front or at the back – and the trams are only two carriages long anyway, you’re not saving yourself much time by standing in the right place. There’s no real architecture, history or facilities to talk about – so it’s hard to find something to say about each one. 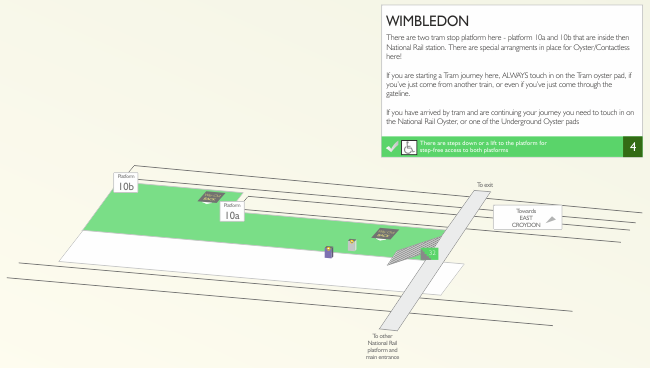 Then we got home to find someone asking why we hadn’t included the ‘Exit data’ for the Tramlink at Wimbledon station! And we had to politely point out that we hadn’t done Tramlink yet. So … good idea or not? Although Station Master doesn’t currently include information for tram stations, it’s something we think we’re quite likely to put in a future update. This means we’ve always got our ear to the ground about any future Croydon Tramlink developments, and we heard some earlier this week. We were at the London Transport Museum on Monday night to hear Nick Baker (Head of Operations at Tramlink) to give a talk on the future. There’s always speculation about possible extensions, proposals and he put some of the rumours to bed. 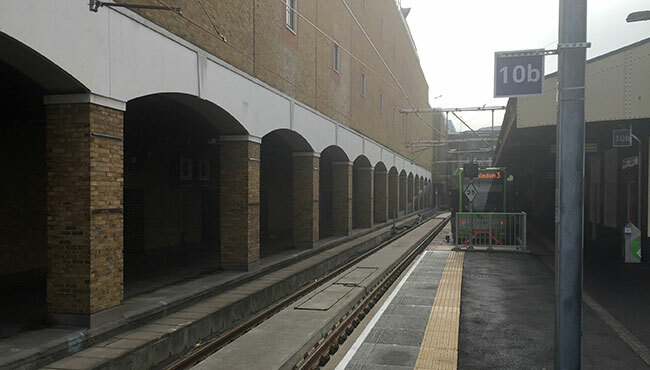 Something we didn’t know (but was speculated here on London Reconnections a while ago) was the confirmation that Wimbledon station is to be re-designed so that there are two platforms for Tram services, meaning that the service will increase there to 12 trams per hour. 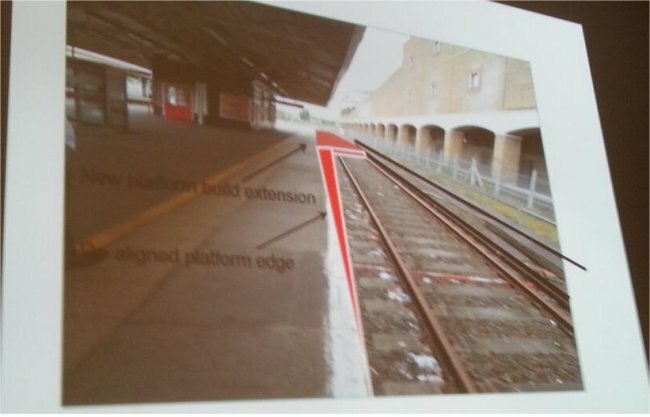 Nick ended his talk with the confirmation that extensions such as Crystal Palace, and Morden to Sutton may go ahead, but others that have been rumoured in the past such as Streatham and Brixton will – in all probability – never happen. Station Master is still busy working away on getting its 3D maps drawn up for every tube station (We’ve done 90% of the tube network now), so once we’ve done that, it may be time to collect the data for every tram stop!